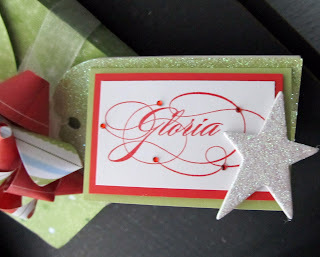 Here is another gift idea using the Art Philosophy Cricut Cartridge. 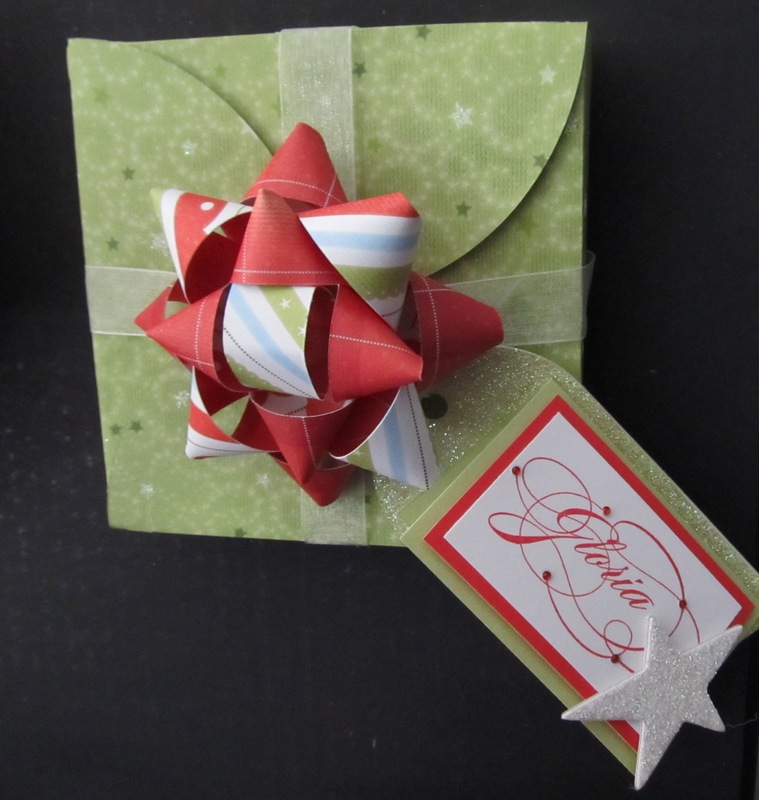 This box is the perfect size to hold a custom CD of your family's favorite Christmas tunes! (Or how about a giant cookie, or bundle of Pizzelles!) I used the flat box with a petal closure in the largest size possible using the Fit To Page feature. I made a paper bow using coordinating paper from the same kit. I added another chipboard tag from the AP collection - covered in Prisma Glitter - topped with a card accented with glitter and sparkles! How many AP packages are you giving this year?